At this dire time of the year with foreign language films still as scarce as hen’s teeth around here, it’s a relief to turn to the occasional Polish release via distributor Project London and the multiplex chain Cineworld. 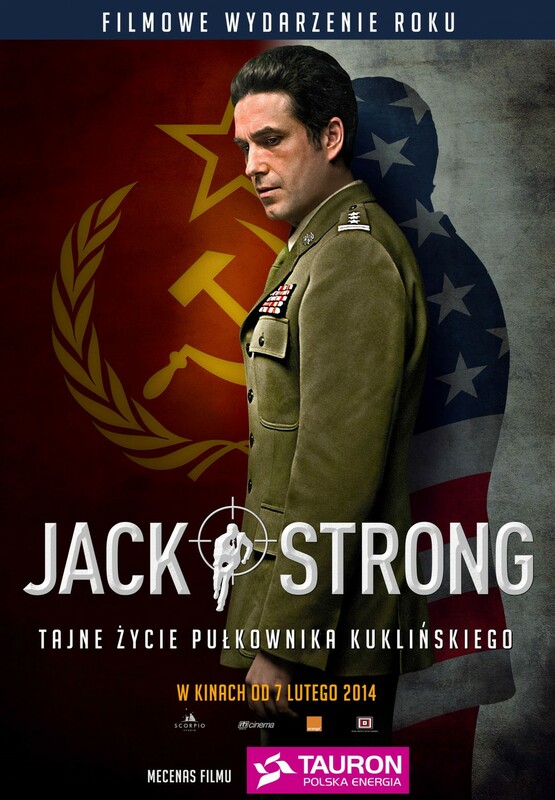 Jack Strong is currently on release in 17 multiplexes across the UK and Ireland just a week after its Warsaw opening and it offers great entertainment plus a new perspective on the Cold War spy thriller for UK audiences. The film deals with the real-life story of a Polish army officer who was so concerned that Poland would be destroyed in any war between NATO and the Soviet Union that he decided to provide the Americans with secret Soviet planning papers. Code-named ‘Jack Strong’ he operated under cover for several years before his situation became ‘critical’. This isn’t a ‘biopic’ as such since the story begins when Colonel Ryszard Kulkiński is already one of the brightest military planners in the Polish Army. He first becomes concerned after the success of the Soviet planning of the ‘clear-up’ after the Prague Spring in 1968 in which he played a key role in Poland’s contribution. But the decisive moment is when he talks with colleagues who were on the ground in Gdansk in 1970 when Polish troops fired on shipyard workers. He becomes increasingly convinced that he is threatening the future of Poland through his work with the Soviets. He isn’t a traitor, he’s a patriot saving Poland from the hell that the Soviet military will lead it towards. Unlike the heroes of many spy stories Kulkiński lived with his family who were unaware of his activities. Inevitably this created tensions with his long hours and occasional disappearances. These scenes of family life and the procedural aspects of his job in the Polish military headquarters form a major part of the film’s central sequence alongside the usual tropes of the spy film such as the passing of messages etc. These realist touches work very effectively in building up to the thrills of the closing scenes. The film is also bookend with scenes in which an older Kulkiński tells his story. I won’t spoil the narrative any further. We know from the beginning that he survived the initial crisis but we don’t know how the story ends or who is actually asking him questions. The film is very well made and presented in CinemaScope. It looks good and the performances are excellent. I can’t fault it in terms of entertainment and I learned a lot. Kulkiński worked with the Russians in Vietnam (as a military attaché in the early 1960s?) and the extra earnings from this helped him to acquire a car and the means to go sailing. I imagine that this must be a big budget film for Poland. The director Władysław Pasikowski is a veteran of action cinema and the star in the title role, Marcin Dorociński, is one of the most critically and popularly celebrated of Polish actors. This entry was posted in Polish Cinema and tagged Cold War, spy thriller. Bookmark the permalink.